So, it is crab season in San Francisco. You can get them everywhere, not just from the toilet seat. We buy a big live crab from a Chinese supermarket and eat it. Makes you fit and keeps you well. On boiled beef and carrots. First we cook it. 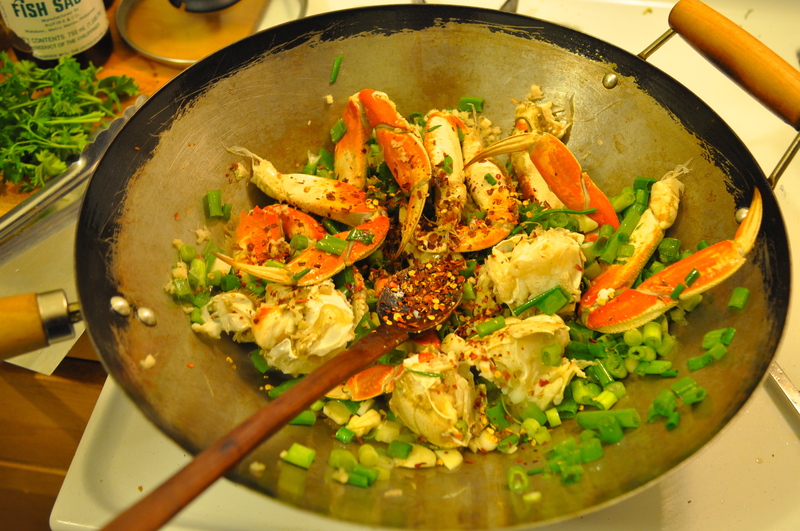 We boil it alive, cut it in chunks, then stir fry with garlic, ginger, spring onions and chili. It is awesome with beer. 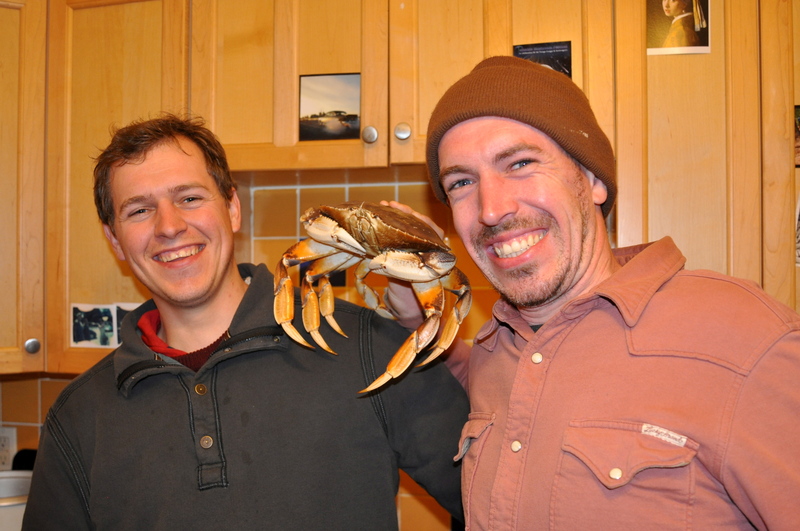 This entry was posted in Uncategorized and tagged crabs, food, San Francisco. Bookmark the permalink.